Professional Grade Stability Ball in Purple, Rated up to 2,000 lbs. 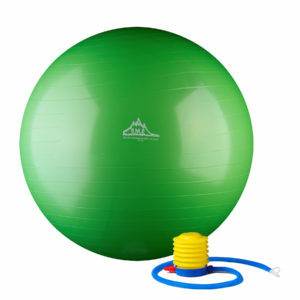 I purchased a 65cm stability ball for home use. I am thrilled with this product. It was easy to inflate and has held its shape. The ball has a very smooth texture and has withstood use by both me and my child. It also makes an excellent chair in my office. My teen wants me to order one for her! Thank you for providing an excellent product. 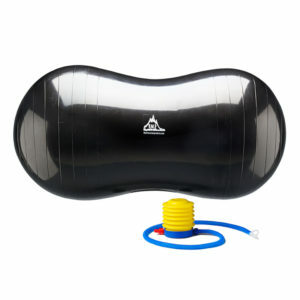 I ordered three of the 75 cm stability ball for my Physical Therapy Practice for my patients as Holiday Gifts. Each of my patients appreciated the gift and especially because the ball included a pump which was easy to inflate. I am very happy with the quality of the ball for my patients that I gave in order to increase their core stability and balance and as a health care practitioner, I definitely approve the use of this ball! I will have to order more products from Black Mountain! My mom ordered three of the 75cm stability balls for her clinic and is very happy with the results! We have never heard of Black Mountain Products but are very happy with their product and service! Will have to order more in near future! I ordered the 75 cm stability ball and am very happy with the quality! The pump is easy to use and the ball inflates very easily. Also, the size was just what I needed and wanted to achieve my goal with several patients! The texture of the ball was nice and smooth! In fact, I have already heard from my patients that they want me to order more! I love my new exercise ball, it’s my first and just love it!! Recently received this exercise ball for Christmas from my husband! Great quality and easy to pump. Love both the texture and color purple! Have loved it so far, using it to assist with my posture and prepare me for the birth of my second child. I purchased this ball to sit on at work – I love it! Not only has it improved my posture and I actively notice engaging my lower core, but it’s a lot of fun to balance on if I get antsy and need to move around a bit. I would highly recommend this – easy to blow up, keeps it’s tension relatively well, and versatile. 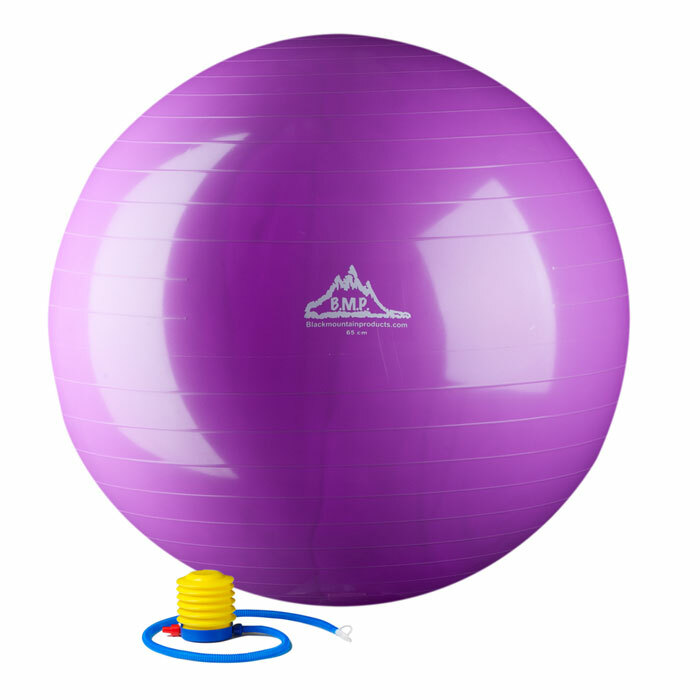 I purchased a 65cm stability ball for a class I’m taking at a local Barre Body Studio. 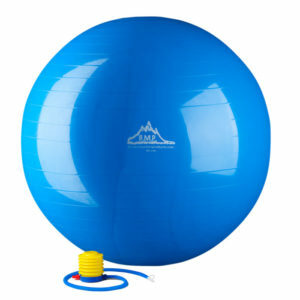 This is the same exercise ball that my friend has in multitude in her Pilates studio. After purchasing a cheaper version at TJ Maxx and not being happy with it, I contacted my friend to find out where to got this specific exercise ball. 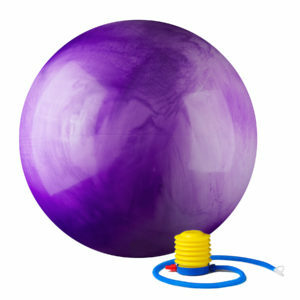 I’m thrilled with this product, it’s easy to inflate and keeps its shape. It’s a well made exercise ball of good quality that I appreciate. If a gym owner orders only these exercise balls, you know they must be great!